Two times 45 minutes of original music by Cloudface and Powder. All recorded in Tokyo, Japan in early 2016. Brought to you on a C90 cream colored cassette by wichelroede. We met Cloudface in 2015 at the Rewire Festival in The Hague, and spoke about the idea of working together. We stayed in touch, and in March 2016 the Vancouver artist went to visit Tokyo in search for new equipment and synthesizers. During this trip Cloudface performed a live set at INS Studio, Shibuya, where resident producer Powder (Moko Shibata) joined him during that late evening to play live as well. Cloudface and Powder teamed up again, now for a wichelroede tape release. The recording of Cloudface’s live set from that special event covers side A (Dogen-zaka refers to the neighborhood where INS is located), while Powder takes on the B-side with previously unreleased tracks, presented here to you as an ongoing mix. No need to describe how this sounds – If you are looking for exciting new electronic music, this is it! With releases on Mood Hut and Going Good, Cloudface has proven his singular sound within the ever growing electronic landscapes, while Powder can without any doubt be considered as one of the breakthrough artists of this year. “Dogen-zaka MIX / 88QQ99II11” comes packed with a white cotton tote bag screen printed in four colors designed by Fallon, which is exclusively available with the tape. As always, the tape and goodie are vacuum sealed in a transparent A5 plastic bag. 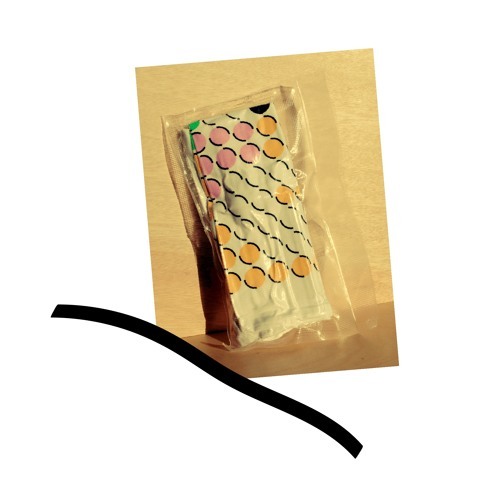 Cloudface / Powder – “Dogen-zaka MIX / 88QQ99II11” is exclusively released on cassette tape.